This unique collection presents essays on psychedelics and their uses by those who have taken the drugs, worked with them , or observed their effects. Each author recalls and analyzes the significance of the drug experience from his or her own vantage point. Prominent figures, including Timothy Leary, Albert Hofmann, and Charles T. Tart, discuss the widespread popularity such drugs attained in the 1960s, the historical impact of psychedelic culture, and its remaining influences on present-day society. Detailed descriptions of usage patterns, resulting psychiatric problems, and adverse effects are provided, and the personal sociological and philosophical dimensions of mind expansion through drugs are explored. A central theme of this work concerns the influence of psychedelics on users and society in general; the editors assert that the drugs have had more impact than is generally recognized. Many articles examine the creative potentials of mind-manifesting drugs including spiritual and psychological learning; self-actualization; mental liberation; therapeutic possibilities, and understandings that can be integrated into everyday life. Problems associated with drug usage are also discussed; there is a special note on adverse effects. 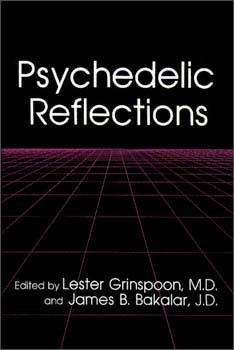 This fascinating work is essential for any professional or layperson interested in psychedelic drugs or culture. Lester Grinspoon, M.D. is a psychoanalyst at the Massachusetts Mental Health Center and is Associate Professor of Psychiatry at Harvard Medical School. He has testified on drugs, drug use, and related social and legal policy before the legislative committees of many states and the federal government. Among his works are Marijuana Reconsidered (1971, 1996), Schizophrenia: Pharmacotherapy and Psychotherapy, The Spped Culture: Amphetamine Use and Abuse in America, Cocaine: A Drug and Its Social Evolution, and Psychedelic Drugs Reconsidered (1979, 1997). James Bakalar is Lecturer in Law in the Department of Psychiatry, Harvard Medical School. He is the coauthor of Cocaine: A Drug and Its Social Evolution, Psychedelic Drugs Reconsidered, and a number of articles and reviews.